ENDitorial: Is 5G as terrible as the telecoms providers claim it is? A collection of big telecoms providers, together with some equipment manufacturers that rely on them for business, recently launched a document called the “5G manifesto”. The document aims to give the European Commission guidance on how to ensure the upgrade of EU mobile communications to its “5th Generation”. The document makes it clear that the biggest European telecoms providers feel that 5G is unable to provide compelling products, unable to generate new business opportunities, unable to attract investment and, most damningly of all, requires communist-level state intervention, in order to have any chance of seeing the light of day in Europe. Even worse, the providers feel that the benefits are so unclear that the EU needs to “promote the benefits of 5G networks” to potential industry users (telecoms providers are unable to do this on their own, apparently). 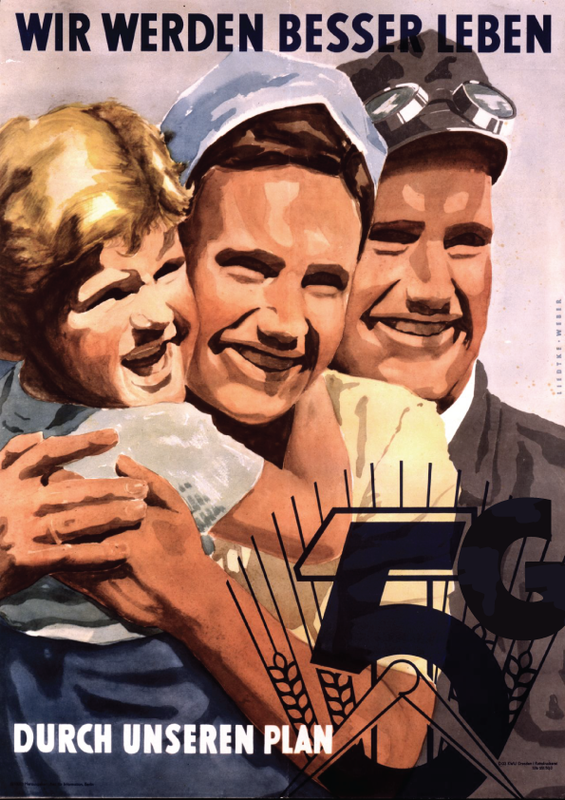 Under the Communist Manifesto, the telecoms providers, who would offer the networks, feel unable to promote their own 5G services – and the possible industrial users would be unable to understand the possible benefits of these services – without state intervention. The providers also demand state intervention in the roll-out of the technologies, by having “adequate” policies, and “encouraging and incentivising” trials and pilot projects. The providers also feel unable to ensure adequate standardisation activities and urge direct “co-financing” of standardisation activities. They also demand direct public funding and indirect, ( by “incentivising” support for private sector investment for “trials and large-scale demonstrators”, research and development, and as an additional way of funding standardisation activities. The “trials and large-scale demonstrators” funding should, according to the telcos, allow for grants of half a billion to a billion Euro. In addition, a further billion Euro should be devoted to a “5G venture fund”. However, industry should not have to spend much time worrying about any safeguards associated with these public funds. These billions of Euro should be spent using “lean administrative procedures, simple and effective governance”. They helpfully tell the Commission that the best way of spending money “to provide the greatest benefit to the operator” is by investing in infrastructure. Remarkably, the telcos indicate that they are prepared to pay for radio spectrum, but they do ask that the spectrum is “released on time and at reasonable prices”. Despite all of the demanded public investment in infrastructure, the telcos argue that regulated access (for competitors) to infrastructure should be limited. This is despite the fact that the GSM Association has pointed out that high levels of competition in Europe means that “subscribers in the European Union pay less than half what their U.S. cousins do for 4G services”. This means that repeal of pro-competition rules will cost every European dearly. And, en passant, the telecos demand an end to EU legislation on privacy of communications and net neutrality. Deutsche Telekom has previously demanded “revenue sharing” in order to allow innovative start-ups to have privileged access to its customers. Repeal of net neutrality rules will also cost the European online economy and European innovation dearly. So, the price of 5G will be billions of public spending on networks, public spending on selling the services to industry, public spending on pushing the use of the technology by public services, public spending on standardisation, public spending on a “venture fund”, public spending on trials and large-scale demonstrators, public spending on standardisation processes, an end to pro-competition network access rules, an end to pro-innovation net neutrality rules, and an end to the EU’s legislation on privacy and freedom of communication. The current European Commissioner for Digital Economy and Society, Günther Oettinger, welcomed the Manifesto.